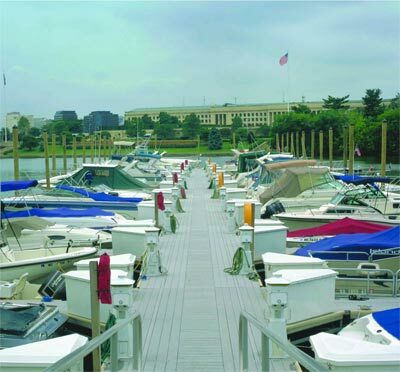 The Maryland Natural Resources Police (NRP) are asking mariners to make plans to safe guard their vessels from Irene. The recent activity in the Atlantic Ocean should cause boaters to make plans to safe guard their property and lives. Planning is the key to minimize injury and loss of life. Boaters should make plans well in advance of the storm so that definite docking, mooring or hauling out of the vessel arrangements can be performed quickly and without delay. Removing valuable equipment from your vessel to protect it from damage. Consider removing your vessel from the water to reduce damage from storm surge. Vessels on land should be properly stored or tied down to prevent being damage by winds. Small open vessel can be filled with water to lessen the effect of the wind. Vessels that remain in the water should be moored in safe areas or berths. Lines should be doubled and high on pilings. Remember storm surges can cause tides over the pilings. Install fenders to protect vessel from pilings, piers or other vessels. Ensure bilge pumps work properly and batteries that run them fully charged. Seal all openings to make the vessel watertight. Collect all documents, including insurance policies. Take photographs of vessel and equipment for insurance. Do not stay aboard vessels during storms. Safe guard human life. NRP reminds boaters that advance planning can save property and lives. These actions should take place at least 48-72 hours prior to the event to accommodate unforeseen problems. During the storm, occupants should be off the water and residing in safe shelters. Remember, storm conditions could exist that delay or prevent response from emergency personnel.